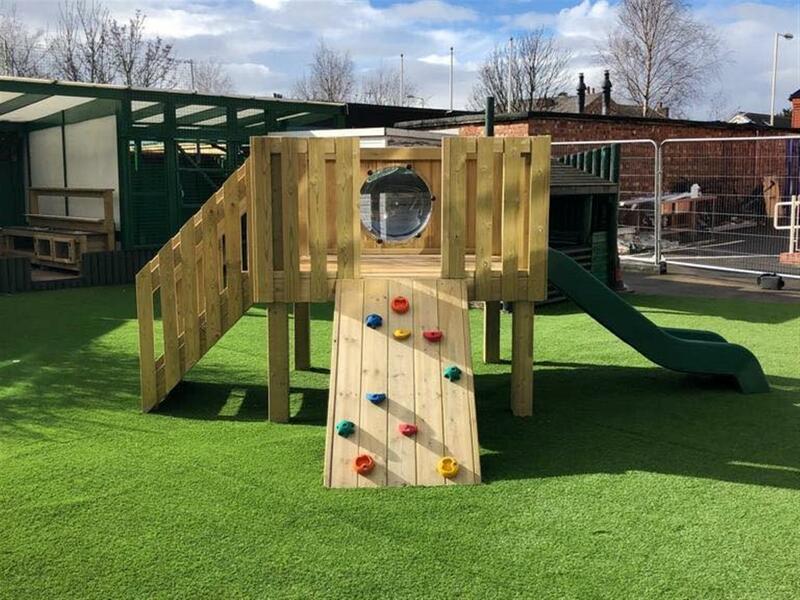 Our Playground Consultant, Anna Hosker, worked with Linaker Primary School in Southport to develop what has become the new, invigorating Reception outdoor area. 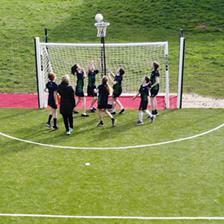 The area was desperate for a much-needed revamp due to very dated, unexciting equipment and fencing, which was a hazard to the young children. 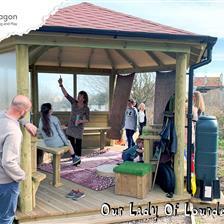 Collaborating with the passionate teachers, we installed a range of stimulating and exciting equipment that promotes the EYFS curriculum in their new outdoor environment. The school wanted a selection of playground equipment that would contribute towards physical development, developing children’s key physical skills including fine and gross motor skills: improving children’s dexterity and early literacy skills. Our amazing Modular Play Tower, the Restormel Tower, is just one of the fantastic additions to their outdoor environment. The children love peaking out of the bubble window and racing down the slide as part of imaginative games. The concept of turn taking is also beginning to be understood as the children wait for others to reach the bottom of the slide before sliding down themselves. The climbing ramp and step access to the tower are perfect for the children’s overall strength progression. After removing the hazard fencing, we decided that the new playground surround needed a spark of excitement. We installed 2 Climbing Walls along the fence to create a climbing wall that was big enough to allow multiple children to traverse at once, participating in active imaginative play games. Through the multi coloured climbing holds, the children are developing important fine motor skills needed for pencil grip and writing: supporting early literacy skills. 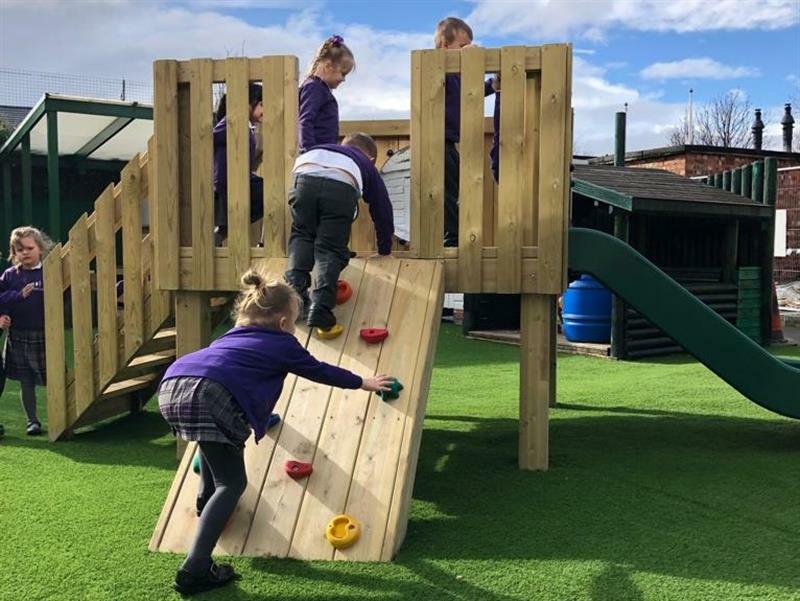 These fantastic playground additions for physical development are perfect for inspiring EYFS children to get active while providing focal points for imaginative play. 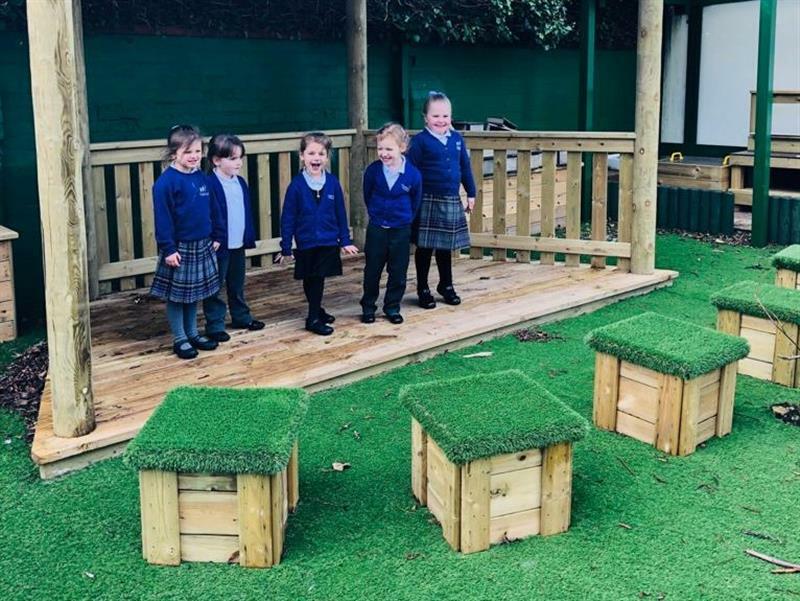 The addition of a Half Hex Stage and Playground Seating in the new EYFS playground creates a wonderful area for the children to feel less inhibited, develop their self confidence, communication and language skills as well as their creativity. The children love singing songs and participating in roleplay with their friends within the dedicated area. As the Outdoor Performance Stage produces an ideal area for socialisation, the children will naturally share and communicate with one another, further developing key skills such as communication, language and social skills. Inviting playground seating placed directly in front of the stage creates a comfortable space for others to sit and watch performances or discuss how their performance will take place. 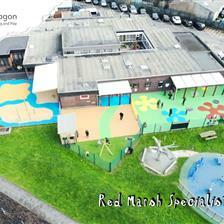 Finally, to ensure the children can access their new outdoor area throughout all seasons, we installed our amazing Playturf Artificial Grass. Practical and low maintenance since it doesn’t need cutting or weeding and doesn’t become a muddy swamp. 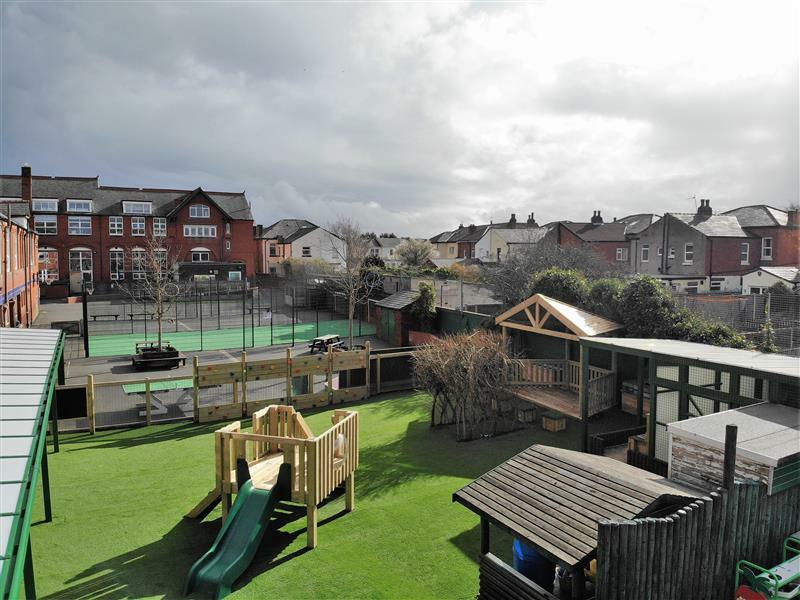 The energetic children were in wonder at their new outdoor area and are now ecstatic to come to school each day patiently waiting for playtime to come around where they can learn through play and enjoy there stimulating new environment. 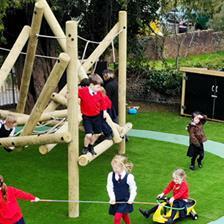 We love creating stimulating outdoor learning environments which promote the curriculum with our exciting range of educational playground equipment. If you are looking to re-develop your outdoor learning environment, Contact Us as one of our playground consultants would be delighted to provide you with expert advice.